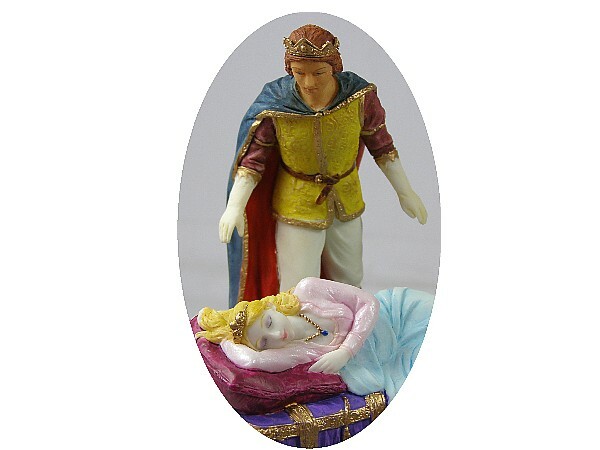 A musical figurine of Sleeping Beauty and Prince Charming. 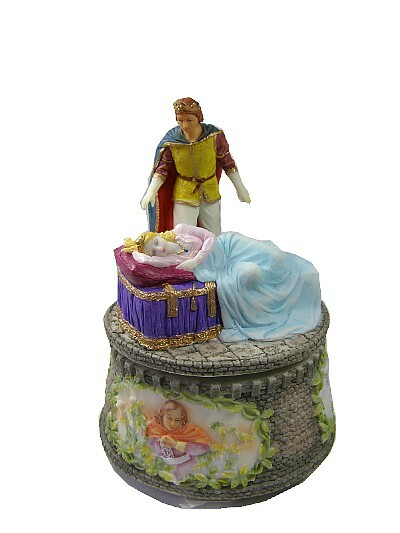 This musical figurine of Sleeping Beauty and Prince Charming is depicted on a castle style plinth inside. 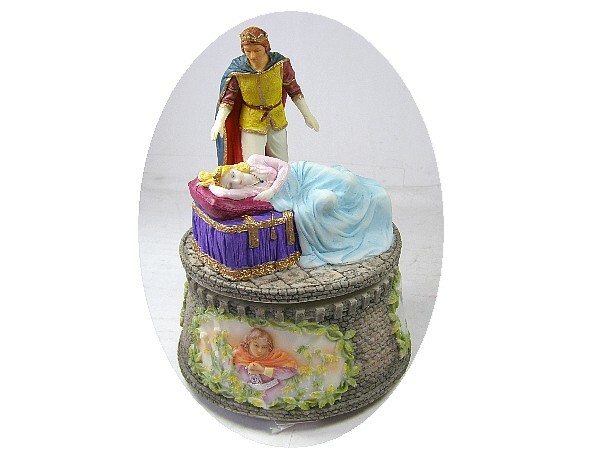 Wound from underneath, the clockwork musical box movement plays Once upon a Dream.